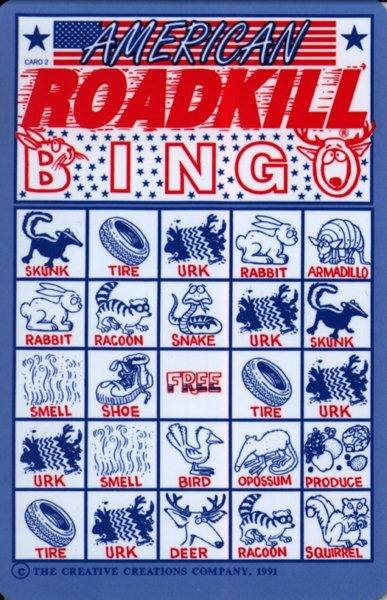 Your family will never raise a stink about highway travel again after they have played Roadkill Bingo. 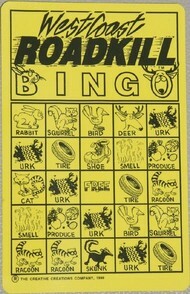 You can also play Roadkill Lotto with it, so it's really two, count them, two	games in one! 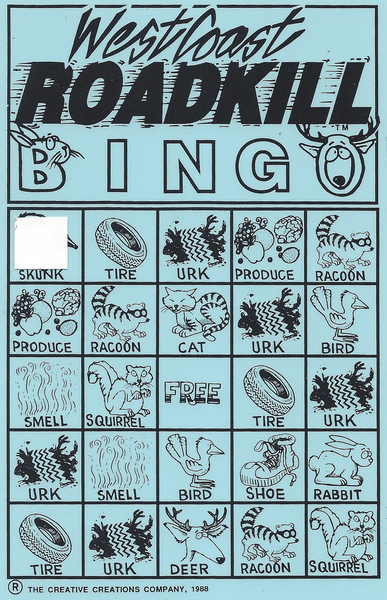 Roadkill Bingo comes in a handy reusable package that fits in your glove compartment. You can put your insurance papers and registration papers inside so you always know where they are.